The Kobe floor standing cloakroom unit combines style with the benefit of storage. 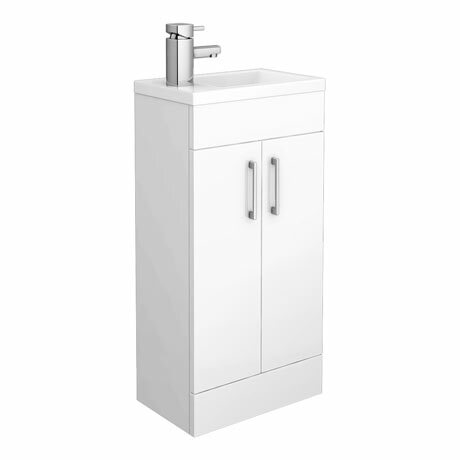 Designed for the most compact of spaces, this unit features a resin basin with soft close doors and is fully assembled. Q. Is this available in high gloss black ? Looks great with the toilet pan and wc set.